Taoiseach Enda Kenny has called a security meeting today to discuss Ireland's national security after Sweden and Germany's recent terrorist attack. "These are things that we cannot be distant from. We are a non-aligned, non-aggressive country, and though the threat is always present, it is not at a high level in Ireland and we try to keep it that way," Enda Kenny told the Dáil yesterday. The Taoiseach said that "it is not beyond a possibility that issues can arise in Ireland". He told the Dáil that a plan is underway to discuss Ireland's national security and to make necessary arrangements. “The Office of Emergency Planning has prepared a draft document, entitled “Strategic Emergency Management – National Structures and Framework”. That is due to come to Government very shortly and we will publish it before the summer so people can reflect on the very issue." Mr Kenny said the gardaí are monitoring a small number of individuals “who do not have this country’s interests at heart”. Labour leader Brendan Howlin said that Ireland "would be foolish to think that we are immune from that in this jurisdiction". "I know that An Garda Síochána monitors some people in this country and so on. We need to up our game in this area. 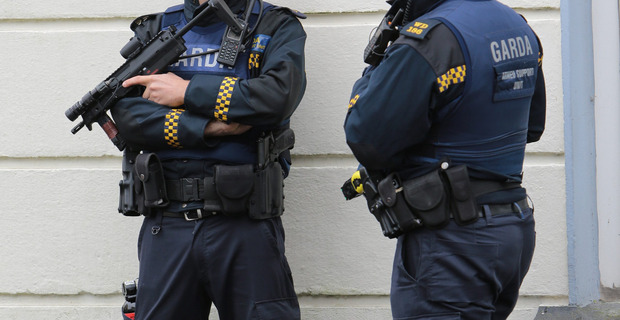 I believe it is a good thing that part of the review of An Garda Síochána will look at whether we need a bespoke security agency bringing together the best of military intelligence with Garda intelligence." The issue of cyber security was also raised in the Dáil yesterday. "The cybersecurity area is where we are probably most prone to attack. It could cripple us. Over the years, all of our Departments have been subject to cyber attacks, some of which did not go into the public domain. "It could have been absolutely crippling if, for example, the Department of Social Protection was shut down by a cyber attack. It would be hugely disabling for us," Mr Howlin told the Dáil. Mr Kenny said the issue "needed to be looked at". "We now have such an enormous investment in digitisation in so many companies throughout the country. This is an issue that needs to be looked at," he told the Dáil.